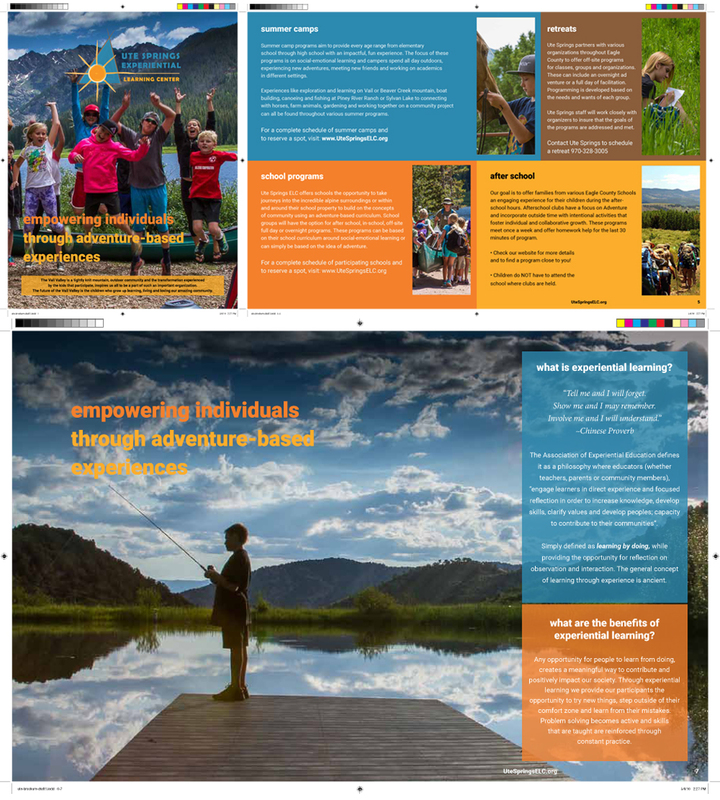 We’re not just a web development/Ecommerce company–we also handle a wide array of print media, like this 8-page brochure project for the Vail Valley-based Ute Springs Experiential Learning Center. Our responsibilities for this project included creating clear brand standards to connect the disparate elements across all their existing marketing platforms to ensure that their future development are cohesively structured. Through this effort we looked to create an identity that was individual, focused, colorful, and memorable. We believe we succeeded.